A bout of chronic migraines meant I had to quit my job last summer before I got fired. This sounds quite dramatic, and is not necessarily the course of action I’d suggest for others, but I realized that I had to put my health first. I needed to concentrate solely on getting these migraines and other related health issues (my dodgy neck etc) under control once and for all, otherwise I could never have a career. Instead, truthfully, I asked if I could work for 4 days a week as I had to go to physio for my neck and needed other treatment. Working 4 days in that office was agony, I got occupational health to assess my desk, so my computer was set up ergonomically correctly and, yes, soon had to miss days due to migraine and my bosses were understanding. I felt awful letting down clients and co-workers. 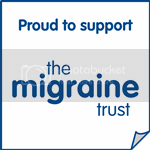 But I always stressed the physical aspect of my condition, that I had spine damage – not wanting to incur any of the usual plethora of misconceptions that go with migraine. But trying to sit at a desk for a full day was probably too much for me then and my migraines spiralled. Luckily I then got a scholarship to do a Masters Degree at New York University and do what I really love…..no brainer really – even though it means I’ll be broke for the rest of my life. But when I came back from America (or rather was kicked out by immigration – really do I look like a terrorist?!) I decided I needed another ‘day’ job to help pay off student loans while I appealed my visa. So, I started another part time job helping to set up a recruitment company. 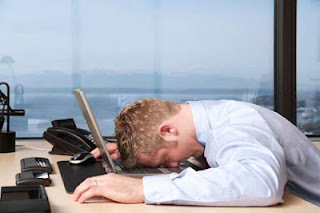 Again, sitting at a desk was killer on my back, bright office lights and other migraine triggers started to come into play – and at this point I still wasn’t quite aware of the extent of the damage to my neck. And it was trying to do this job that I had my mega neck spasm after a 3 day migraine and the descent back into chronic migraines began. I had to miss so many days I felt bad for my lovely boss who, while being terribly understanding, was trying to set up his new company; the last thing he needed was me being a weight around his shoulders. Did you know absences due to migraine and headache cost the UK economy £2.25 Billion! I was also starting to make stupid and potentially disastrous mistakes – a result I’m sure of the migraines! So I decided to resign. For me, this was an incredibly tough decision. I stubbornly refused to quit for a while. One morning I woke with the start of a migraine, tried to get ready to go in, not wanting to call in sick yet again, and nearly fainted in the bathroom. Mum found me crying on the floor and begged me to give up the job. Although this was by no means my dream job, giving it up meant I would have to stay permanently with my parents, give up any hope of independence and give into the fact that I was, once again, an invalid. Aged 31, it was soul destroying. But weirdly, once I’d made the decision that I was going to give myself a year (psychologically I needed a time frame) to concentrate completely on getting to the bottom of my migraines and chronic neck pain and spasms, I felt a huge weight lift off my shoulders. 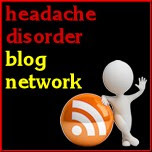 And a couple of months later this blog, Migraine Monologues was born! This was in June 2011. So why am I boring you with this tale of woe? Well, yesterday the mighty Migraine Trust unveiled results of a survey of migraine in the work place. What I find scary is that prejudice against migraineurs is worse now than when a similar survey was conducted in 2006!! Why is this? How can we stop this?! I know I have been very lucky with my work place experiences – but this survey shows I’m clearly in the minority. Since I no longer work in the corporate world I’m much more relaxed about telling people I suffer with migraines. I’ve found creatives are much more sympathetic! Yet, I still have to brace myself a little when I let people know in a work setting. I am worried what they’ll think of me, but if I don’t make it crystal clear that this is a neurological, health condition that I have absolutely no reason whatsoever to be embarrassed about – then how on earth are the misconceptions and prejudices about migraine ever going to diminish? My theory now is that if I’m as clear, concise and as informative as possible about my condition and what I need, then there will be little room for outdated, ignorant assumptions. The next time I apply for a full time or even part time position – I will be giving my new employers the Employment Advocacy Toolkit that the Migraine Trust launched today. As part of their User Group I got to see an early draft and I can’t tell you how much I wish I had access to this information (both from a legal and supportive angle) when I was working. You can declare migraine as a disability if appropriate – and if you do so then your employer is obliged to make “reasonable adjustments” accordingly. i.e you’re far more protected and your work place environment will be much more comfortable for you. "I always declared to my employers once I knew I had migraine and all were supportive, as were fellow employees when I made it public. Being open about it enabled other employees to feel it was OK to admit to migraine attacks and not feel stigmatised. What to do if migraines are affecting your work? 1. Download the Employment AdvocacyToolkit. 3. Remember that it is often easier to address the issues 'head' on - getting signed off work for a period of time by your GP might be the right option for you to give you time to try new treatments etc. Communication is key. Great post love - I think it's really useful for people to hear your story because it doesn't stop you being an intelligent, amazing woman! Obviously you know my story but thought it might be useful for other readers. Migraines had a massive impact on my career, and when I was made redundant back in May I fell about crying because I knew I couldn't handle the pressure and stress of the 3 month trial period. When you suffer with migraines, you spend the rest of the time compensating for them by showing how amazing you are. Ironically the stress of that probably continues to exacerbate the migraine cycle. Fun. I had a tricky dilemma - I'd been really honest and open with my last company about my migraines and for a while I thought the redundancy was related. I spoke to the amazing people at the Migraine Trust advocacy service - and as it turned out the company was just going down the shitter - but how do you know that at the time? For me, the push into redundancy meant I made the leap into self employment which is perfect for me and allows me to fit my health around it - but it's so tough. Us migraneurs are usually very capable and often high achievers - so when we are forced to think we are useless it can be very damaging to our morale. I am now very open about my migraines - it's a part of who I am and yeah sure sometimes it means I'll cancel a meeting or am out for a day or two but the rest of the time I work my socks off and do a badass job. Hey Lady! I was hoping you'd relate your story - I think it's a really interesting and relevant example of how problematic migraines can be in the work place. I was very lucky in that my jobs in questions were not my dream 'career' jobs- writing - and I was so lucky in that I had the option of living with my parents (even though it didn't/doesn't feel lucky!). I also think it's interesting that so many migraineurs have to forge their own career paths by going freelance/part time - setting up their own companies....hopefully the more socially acceptable migraines become and the more employers understand that having a migraine isn't an excuse to get out of hard work - migraineurs might not have to hide their conditions and struggle so in the future? I have had a mixture of bosses - my current boss thinks migraines are "womens version of man flu" which makes me very wary of being off sick - in a year I have only been off once but still having 5 or 6 migraines a month- i'm very good at being discreetly ill (I think a lot of migraine sufferers are). I totally agree with Fran that I try and overcompensate by trying to be absolutely fabulous at everything - but that comes at a cost. I guess education is the key but its very hard to tackle when you dont know the response you will get, perhaps at our next company meeting I will stand up and say "my name is claire and I am a secret migraine sufferer"! The reason I think attitudes are getting worse is because this countries drinking culture is getting worse. I say this because in my last job and now at university (I tend to go despite my migraines as they are more regular and less severe than a lot of yours I think, so I just push through) but whenever I went into work with a migraine or when I go to uni with one the first comments I get are 'hungover?' and then I have to explain to them that they are ignorant and I have chronic migraines... in my last job I'm pretty sure my boss never believed me. There is also the very strong opinion in those who don't suffer with them that it's 'just a headache' especially as mine aren't typical 'migraines' I don't get aura, vomitting, photophobia etc but noises such as kids, alarms, fireworks, packed biology labs(makes uni a bit difficult at times, I have had to leave the class several times) are actually triggers for me as I always have a bit of an underlying headache so they're easily made worse. Not so easy to explain to those who don't understand. I don't envy those of you left bedridden though. The main reason for A&E was that it was a weekend and I got a very rare vomitting one leaving me unable to keep down any pain meds... looking forward to my London visit, they've been increasing lately! But yeah 'it's just a headache' is one of my biggest pet peeves about telling people about this condition. My brother had to give up his career as a lawyer as he kept passing out in court with migraines. Hes now gone self employed. I do remember reading that there are more chronic migraineurs that are self employed than employed! From an employers point of view I can understand though how difficult it is having staff that suffer with migraines and the unreliability that brings with it. Hi - your poor brother that must have been horrific. Yes, I've read that too - think we have to be more creative with our careers. Ofcourse I can totally see it from the employers angle too but hopefully most migraineurs have/can identify their triggers so if they can communicate this freely and their needs to their employers (& obviously this assumes the ideal scenario that they've got medication all sorted too) then they'll have it more under control with the right environment etc and thus be more reliable! Sorted...um.... ! Thanks, Victoria, for sharing your story. Mine has some similarities, like migraines causing me to make mistakes and missing a lot of work. However, I was not given an option. Well, I was given the option of resigning or being fired. I, too, had to move back in with my parents. It's embarrassing to be 32 and living with mom and dad, but not only can I not afford to be on my own anymore, my health has declined to the point where I'm glad I'm not alone because sometimes I need help just getting out of bed. I've been off work for 12 months tomorrow (1.12.12) & in that time I was dissmissed, & I was heart broken as I loved my job. I'm still under my neuro trying to find a 'cocktail of drugs that work' as I suffer 24/7. I was talking to a friend last week & I was telling her how worried I am about finding another job. Finding & reading your blog tonight has given me hope, as I couldn't see anyone employing me with over 12 months absence. All I can say is thank you. I know can see a tiny light at the end of this very dark tunnel.